It’s one of the things people miss the most when transitioning to a plant-based diet. 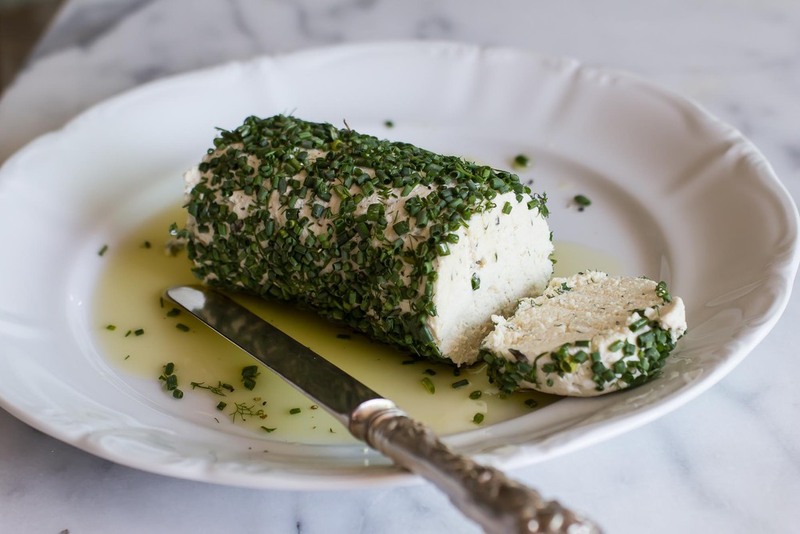 Learning how to make your own vegan cheeses is a great skill to have up your sleeve! This soft cashew chevre is easy to make, contains healthy probiotic strains of bacteria and is great with crackers! You can add any herbs to it-I’ve used chives, parsley and dill here, but it would go nicely with other additions like sun-dried tomato, roasted red pepper or chopped olives. Another benefit of fermenting your own nut cheeses is that they get better with time, like dairy cheeses, and have a much longer shelf life! 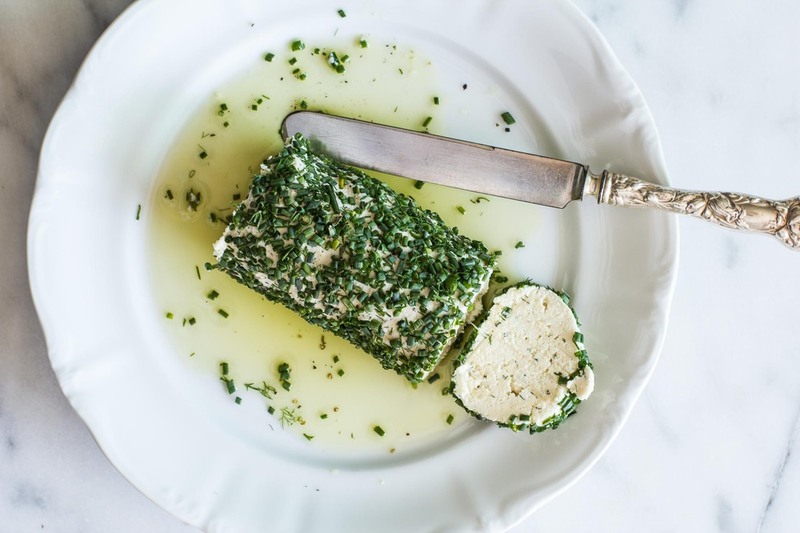 If you like this recipe, then you might want to try my Cashew Pepper Jack Cheese or my raw vegan Ricotta Caprese Insalata. After fermenting 8-36 hours add the sea salt, nutritional yeast, lemon and lemon juice and form into a log shape wrapped in parchment paper. Allow to set up on your refrigerator a few more hours to 3 days before serving. 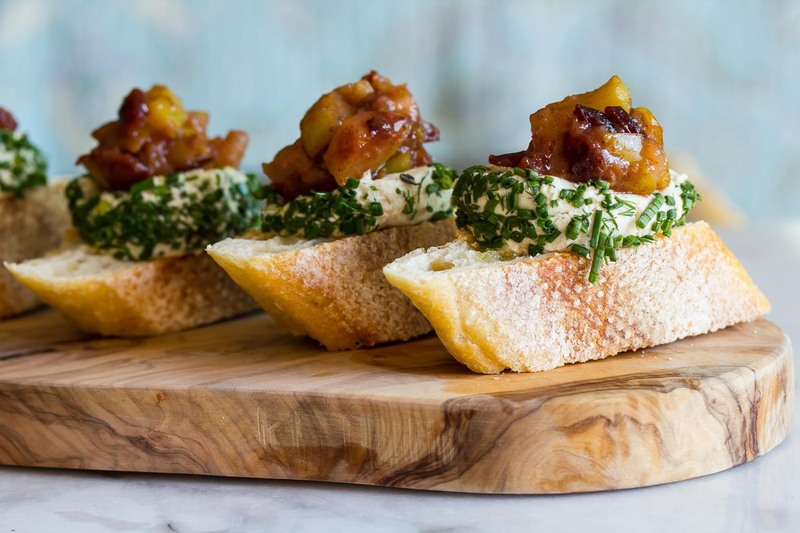 Roll in chopped herbs before serving. 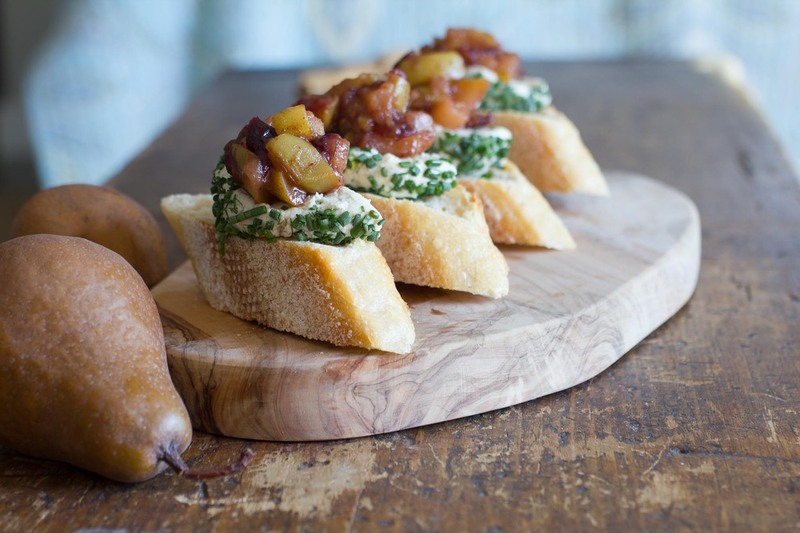 Serve on toasted baguette topped with he Pear and Cranberry Compote! Place all the ingredients together in a medium saucepan, and bring to a simmer. Simmer on low for 20-30 minutes or until the fruit is tender and the liquid is thick reduced. Do you ferment at room temperature? Yes, room temp for fermenting nut cheese. What is the probiotic capsule? Can you use any fermented liquid? Like lacto fermented pickle juice? Thank you so much for sharing! It says to keep it on the refrigerator for another 3hours to couple days. Does this just mean keep it out of the fridge a bit longer? 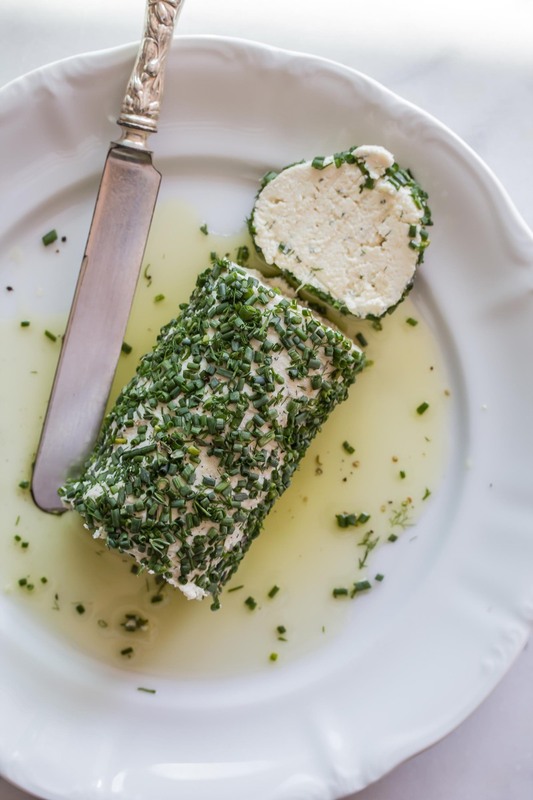 This cheese can be out of the refrigerator for up to 2 days, and will continue fermenting in the refrigerator.